The trailer for The Quake shows Oslo getting torn apart by a massive earthquake. The movie is the sequel to the Norwegian film The Wave, which came out in 2015. The first installment was praised for basing the story on the real-life tsunami that hit Norway in the early 1900s and showing off character development over digital effects. Original director Roar Uthaug was unable to helm The Quake due to the fact that he was working on the latest Tomb Raider film, so John Andreas Andersen came on board to direct the sequel. Right away, The Quake trailer looks pretty similar to The Wave in terms of dark coloring and a sense of impending dread. Kristoffer Joner is back as geologist Kristian Eikjord and he's starting to worry about a catastrophic earthquake that's imminent. From here on out, we're watching a massive earthquake destroy Oslo with awesome digital effects that make the terror look all the more real. It's been said that The Quake follows the same pattern as The Wave by not letting the digital effects do all of the heavy lifting. In 1904 an earthquake with a 5.4 magnitude on the Richter scale shook Oslo. Its epicenter was in the Oslo Rift which runs directly through the Norwegian capital. In The Quake, it's present day, and there are recorded tremors from the rift on a daily basis and it has geologists puzzled. They aren't sure, but arguments rise when some expect the little tremors to trigger major future earthquakes in the area that could be far worse than the 1904 quake. There's no technology to predict the exact date and time of the big quake, but it's clear that Oslo is a lot more vulnerable today than it was in the early 1900s. Early reviews of The Quake have been mostly positive. Comparisons to The Wave have been made, and some critics think that the disaster sequel follows in the footsteps of its predecessor a bit too much. With that being said, the sequel has been praised for the human element that often takes precedent over the natural disaster. 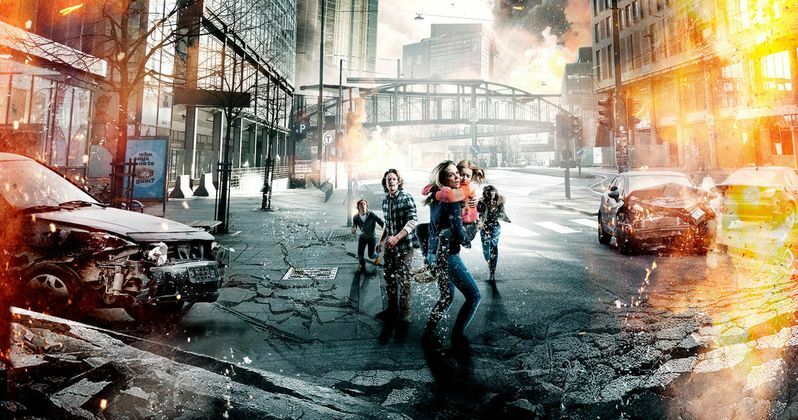 Trauma, mental health, and natural disaster predictions are all questioned in the movie, which adds some extra depth to a normal disaster film. The Quake is directed by John Andreas Andersen from a script written by John Kare Raake and Harald Rosenlow-Eeg, who also wrote The Wave. The sequel stars Kristoffer Joner, Ane Dahl Torp, Kathrine Thorborg Johansen, Jonas Hoff Oftebro, and Edith Haagenrud-Sande. The disaster sequel is set to open in select theaters domestically on December 14th, and will hit VOD and streaming services the same day. You can watch the latest trailer for The Quake below, thanks to the Magnolia Pictures YouTube channel, but it's definitely not for the faint of heart. Anybody with an earthquake phobia might want to stay clear of this one.